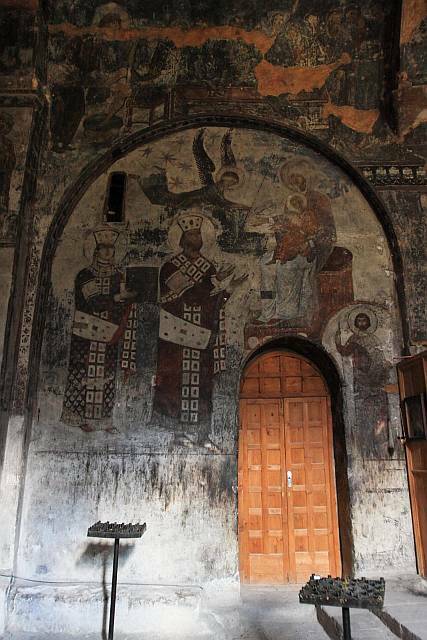 Situated near Akhaltsikhe in southern Georgia, Vardzia ranks as one of the country's most interesting sights. Dug out of solid rock, comprising 13 stories of apartments (some say 6000! 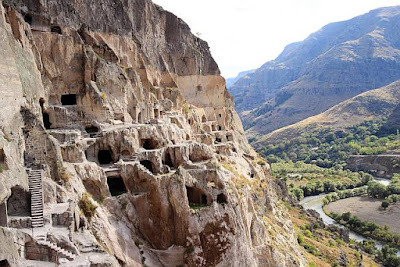 ), complete with a throne room, a church and even a bell tower, the cave city of Vardzia is making a definite claim into UNESCO's list. Built as early as the 12th century during the reign of their beloved ruler Queen Tamar, it was a bastion against the Mongol horde. However, it was not the Mongols, but an earthquake that destroyed part of the city years after the invasion. Today, it is a major tourist attraction in Georgia, though only part of the complex is open for sightseeing. 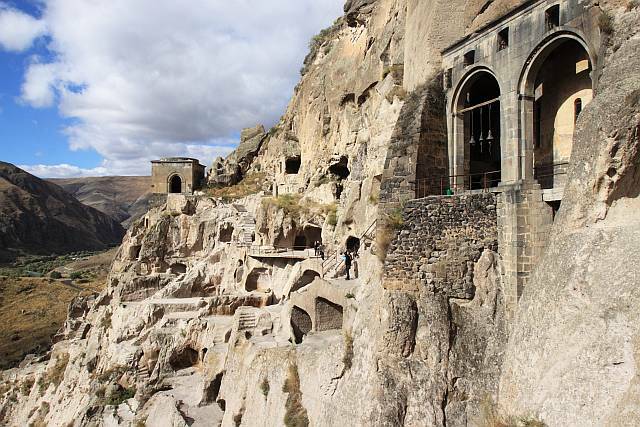 In fact, a portion of the place are occupied by monks and it is a fully working monastery. 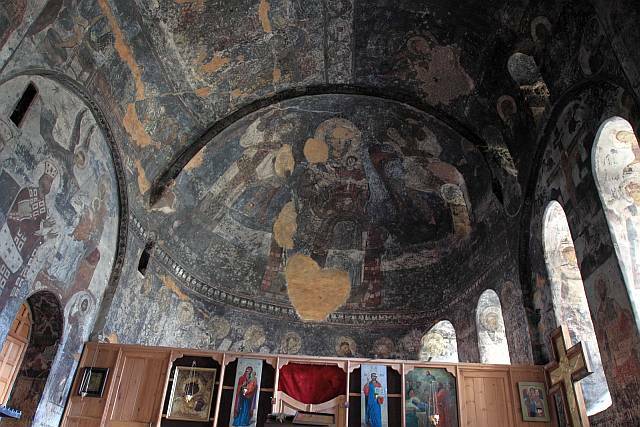 There are some really awesome frescoes in there (but then, there're many awesome frescoes all around Georgia! 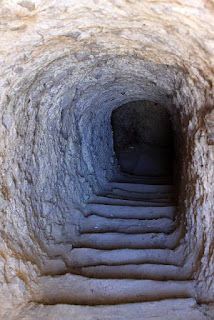 ), and there are also some mazy tunnels which you could wander in. No worries though as you would eventually come out into the open! (though not really advisable for those who are claustrophobic) The scenery around are also quite spectacular! There are only a few marshrutkas a day plying the beautiful route from Akhaltsikhe to Vardzia and I believe I took the last one at close to 4pm. It's 2+hours of journey, and there a few guesthouses around the area where you could spend the night (the Lonely Planet guide lists a few). For those in a group, there will be many taxi drivers in Akhaltsikhe which you could hire for the trip and may be a better alternative. There are also many marshrutkas between Akhaltsikhe and Tbilisi, and Akhaltsikhe is also the start/end point of the Posof border crossing into Turkey. 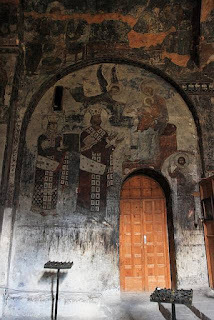 For visitors to Georgia who have a bit of time, Vardzia can be an excellent option besides the popular Kazbegi/Svaneti and/or Kalkheti regions. Check it out!